The researchers at Massachusetts Institute of Technology have discovered the lightest and thinnest solar cells ever produced. The solar cells composed of a flexible polymer called parylene as the overcoating and the substrate and organic material called DBP (dibutyl phthalate) as for the light-absorbing layer. The cells are just one-fiftieth of the thickness of a human hair that is about two micrometers thick. 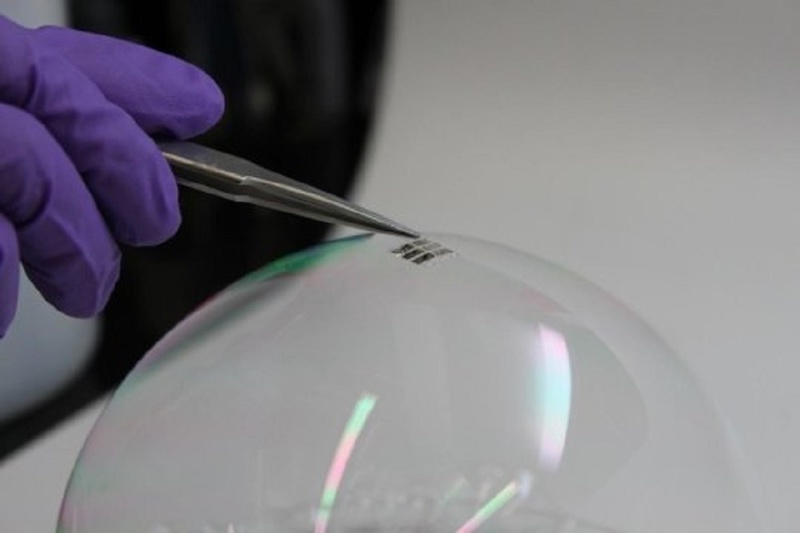 To prove how thin and lightweight the cells are, the team dropped it on top of a soap bubble, without bursting the bubble. These solar cells could be used for inventions where weight is important.Want to know more about this awesome device? Follow this Link!